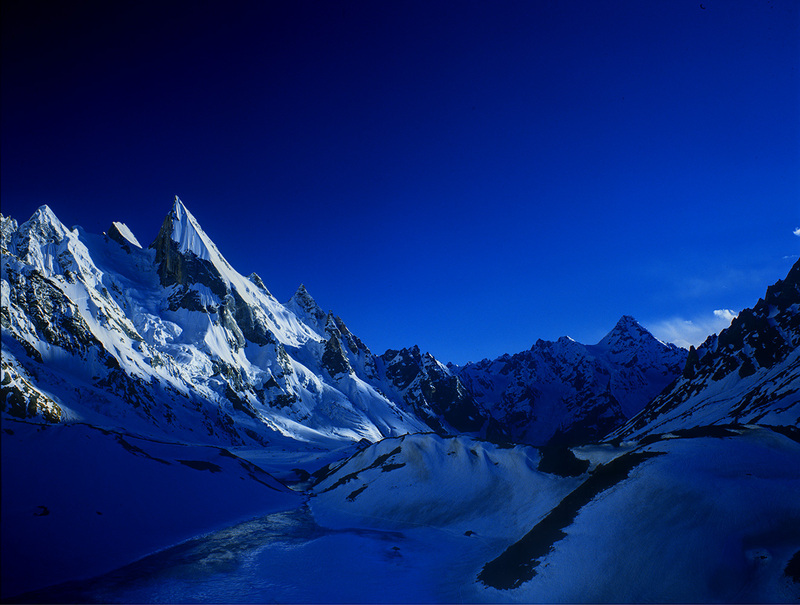 Considered by many to be the most beautiful peak in the Karakoram. At dawn from above Gondoro base camp on the Gondokoro glacier. Hushe Karakoram.